Over the past couple of years within the release of Nintendo’s 3DS and the Playstation Vita many people, critic’s and fans alike have wondered if a world with Mario on your phone would make more sense. Who wouldn’t want that? Thousands of people enjoy emulating Mario and Pokemon on their phones just to have those experiences on the go, whether it’s the fact that they already have a portable device or they can’t access those games in any other way the fact is that phone emulation is a very common thing among smart phone users. So why doesn’t Nintendo just give a little bit of freedom on their IP’s and just let em sell on the mobile phone market? Any of their original NES games and Super Nintendo would sell like hot cakes on the app market. Back late last year Satoru Iwata stated the following in a feature with Wired, “I think it’s a wonderful thing that amateur videogame players are now given the opportunity to create their own work and sell it at one dollar,” he said. “If I had this kind of opportunity like today at that time, I would be more than happy and more than willing to make my own game and offer it in that kind of environment. If you ask me, don’t you think Nintendo should sell Mario on a smartphone for 99 cents, I do not think the answer is yes,” he said. “We really want to sustain the monetary value of game software at a higher level. Otherwise, we cannot make game creation a rewarding business”. Well the numbers are beginning to speak after all of that mobile hubbub had blown over. In an interview with gamesindustry international Nintendo of America President Reggie Fils-Aime stating that the 3DS has sold 8 million 3DS units in its two year life span and that it is ahead of the original DS’ sales of 7 million in two years. Reggie also said the following, “When the NPD numbers come out later this week, you’re going to see life-to-date 3DS game sales surpass 20 million units in the US, and that’s just physical. It doesn’t include digital sales. … So far in 2013 – through April 15 – 3DS game sales are up 55 percent versus last year, counting both physical and digital.” Nintendo’s logic of quality vs. quantity has begun to pay off for the 3DS, instead of releasing small 99 cent apps on phones or even free games with in app purchases Nintendo has kept on track with releasing full retail, high quality games. 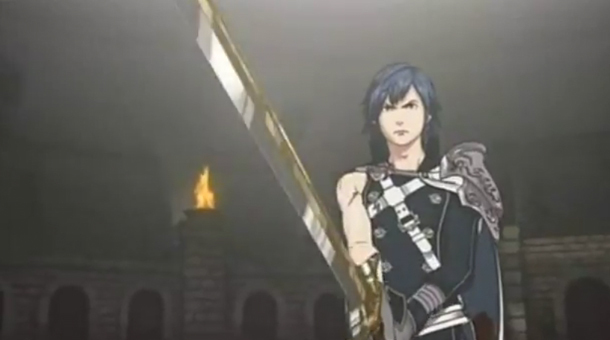 Within this year Nintendo has released Fire Emblem: Awakening , Luigi’s Mansion: New Moon and Pokemon: Mystery Dungeon: Gates to Infinity, Fire Emblem has done especially well in showing a great success in Nintendo’s digital market with selling 240,000 units in the US alone and one third of those all being digital purchases. With all of that good news it’s hard to say that Nintendo is going to be taken down by Angry Birds and Temple Run. But while Nintendo enjoys themselves with their sales numbers the Vita is the slow runner in the race as it’s sales begin to slow down after their most recent price cut. Recently Sony had cut the price of the 3G Vita model from 299.99 to 199.99 at all Sony stores to appeal to people who were waiting for the price on the system to drop. Sales did begin to go up but now they are beginning to get back down to what they were originally. 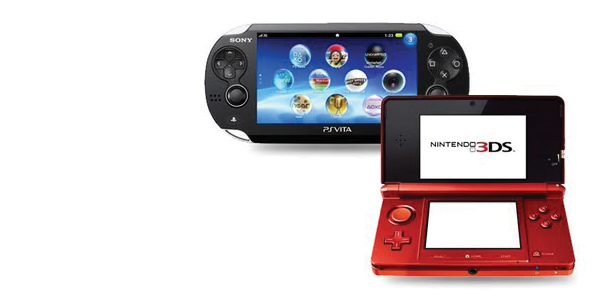 At the end of last month in Japan the Vita sold around 8,000 units and the PSP, the last iteration of Sony’s handheld, sold 12,000 units more. Neither of those are good numbers in comparison to the 3DS selling 63,000 but the fact that Sony’s new console isn’t selling compared to their older consoles shows really bad signs for the company. Sony is doing some things to combat it such as releasing free to play titles and small app-sized purchases on their Vita store, one of the newer titles being Nun Attack which is also on the Android and Iphone Market. But Sony has not done a lot recently to really sell the Vita to people, with not many AAA releases on the system and the high price point many people don’t see a reason to buy the system and many have stuck with their phones or bought a 3DS instead because of the library. 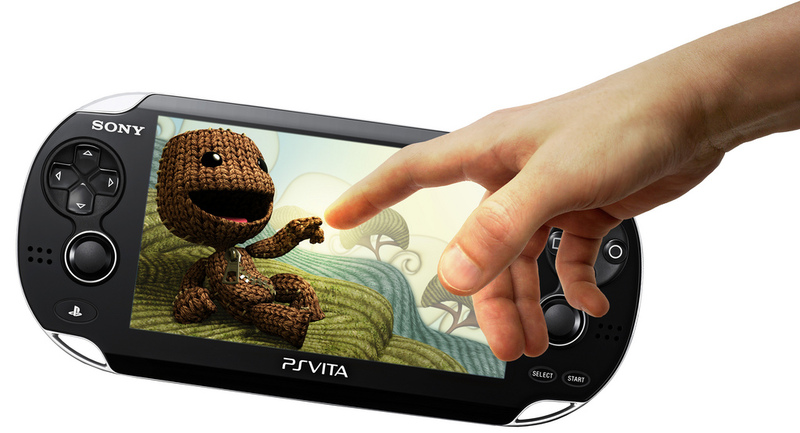 It’s needless to say that Sony needs to do something if they want to keep up with the handhelp market, it isn’t that the mobile phones are affecting the sales of the Vita but it’s that Sony isn’t doing the best job of creating an appealing system. The Vita has the hardware to be a great handheld and Sony has a lot of great first party titles but the fact that Soul Sacrifice is the only game that has released on the Vita within the last couple of months is a disservice to the system. 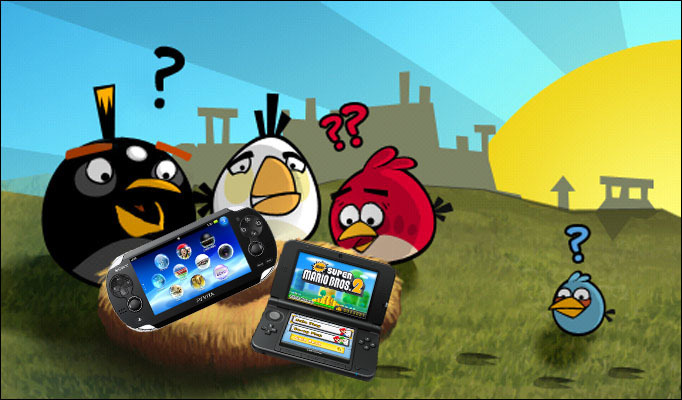 So are handheld systems being affected by mobile phones and app purchases? Mostly no, there will always be an audience that is going to hold off paying $130 so that their kid can play Mario when they can just hand them their work phone that has Angry Bird on it but they won’t be the thing that kills the system like their creator Peter Vesterbacka says they will, there is a larger audience than that. There are obviously thousands upon thousands of people who enjoy a good handheld 10-20 hour experience, heck the RPG market is especially thriving in the handheld area. JRPG’s rarely see release on home consoles and have been thriving on portables since the original DS. Full retail experiences such as Final Fantasy III on the app store have not sold nearly as well as they did on their original handheld devices which have shown that people would rather pay to have those experiences on their original devices. Both of these markets can thrive but they are not in a one on one death match with each other. We will continue to see them throughout the next generation because they already exist and there are people who enjoy them, the question is who will last the longest?